I’ve always wanted to start a gaming podcast and I finally got the opportunity to do so. 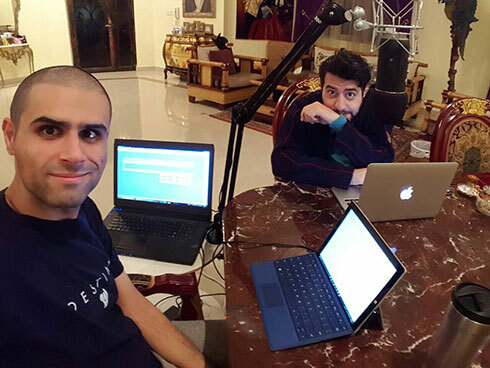 I recorded a “test” episode with Yaqoub and Abdullah from Lucky Generation Gamers and it was an interesting experience where I learnt a lot. Originally we wanted the episode duration to be two hours at most. So I created a word document with an outline of what topics we’d discuss. Since this would be our introductory episode we wanted to have introductions to start things off, going through our history with video games, discussing our favorite consoles and games. Then we’d talk about games we’re currently playing before going onto news and a quick overlook over our favorite games of 2015. That’s what we ended up doing but we went over the time limit we set ourselves by 50 minutes. So ultimately it could have been more structured. I personally should have discussed in detail why I liked Super Metroid or Legend of Zelda instead of wasting time listing consoles I’ve previously owned. In the end we spent 50 minutes discussing ourselves, but I think we could have cut that time in half if we used it more wisely. We’re still trying to figure out the schedule for Double Jump, but we’re aiming to record an episode once a week and I think I’ll continue to write a short blogpost to accompany every episode we publish to discuss things I learnt or experienced before, while and after recording the show. This podcast is still very much a work in progress. We’re working on improving the podcast so constructive feedback is always welcome. Once we finalize everything our podcast will feature original music composed by Marskyera (who is the composer behind the indie game GNOG) and I’ll finally have a proper logo and branding designed. When this ground breaking software was first released The Today Show reached out to me to be interviewed about the new ability to digitally manipulate photographs. At that time our book “A Day in the Life of America” had just hit #1 on the New York Times best seller list but there was a controversy about the book’s cover shot by brilliant National Geographic photographer Frans Lanting. My business partner David E. Cohen and I had commissioned a very expensive high end retouching company called SciTex to alter the cover photo to fit the dimensions of the book. The reason I was invited to appear was because Fred Ritchin, another guest on the show, had criticized us in his book “In Our Own Image” for altering the image. 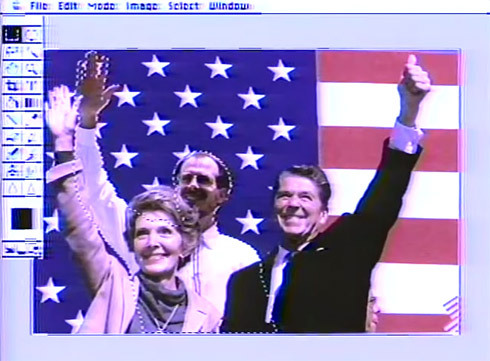 The Today Show’s original plan was to feature SciTex but I showed them some spectacular examples of how Photoshop 1.0 worked and persuaded the producers to drop SciTex and to instead invite Russell Preston Brown, Adobe’s Senior Art Director. It was 6:30 am and before the show the three of us were back stage in the green room. Russell and I were both really nervous, I was pacing up and down and driving Russell crazy. Seconds before we went on the air, a little light bulb went off in my head and I turned to Russell and asked if he had a copy of Photoshop on a disk. He said yes but assured me it was already installed on the Mac they had on set. I asked him to give me the disks. I said “Don’t worry, just give me the disks”. I heard from Adobe CEO John Warnock later that day that the entire staff of #Adobe watched the interview in their cafeteria and broke out into applause at the impromptu ad! 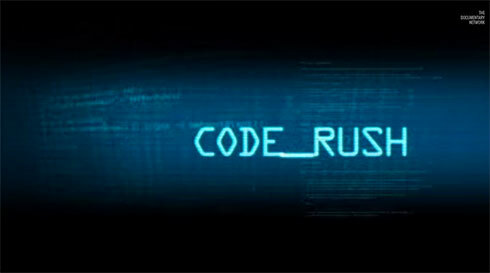 Code Rush is a documentary following the lives of a group of Netscape engineers in Silicon Valley. It covers Netscape’s last year as an independent company, from their announcement of the Mozilla open source project until their acquisition by AOL. It particularly focuses on the last minute rush to make the Mozilla source code ready for release by the deadline of March 31 1998, and the impact on the engineers’ lives and families as they attempt to save the company from ruin. So you're saying the people who started out selling Magic The Gathering trading cards turned out to be unqualified to run a bank? Shocking.